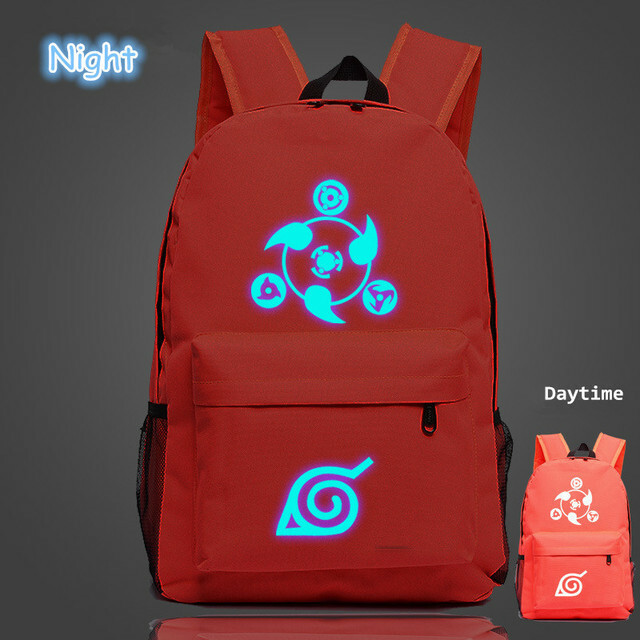 Stand out with this simple, fancy and unique backpack with Naruto symbols that glow in the dark. 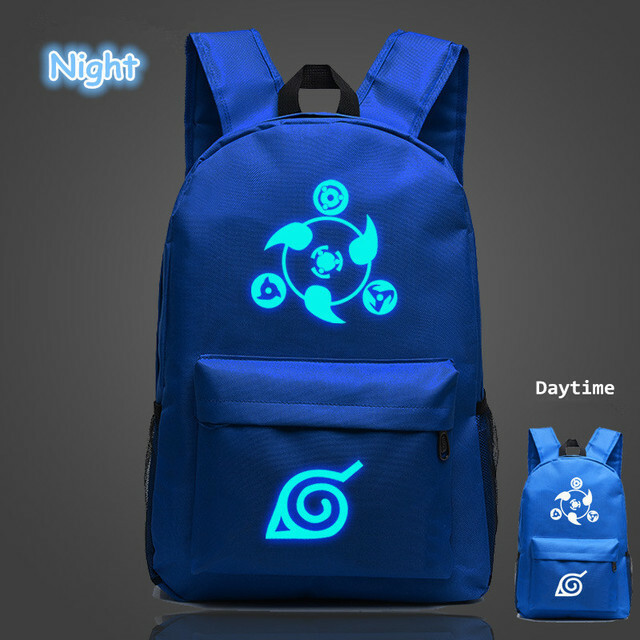 This high quality premium bag will help you to carry all your things in the Naruto style! 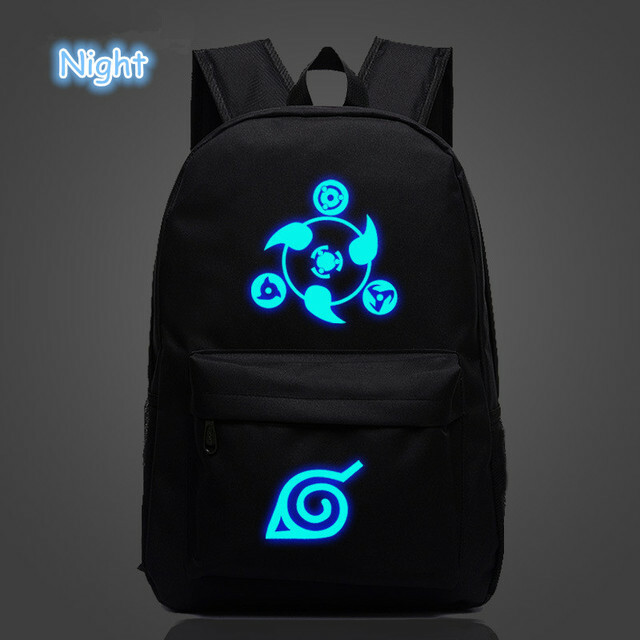 Naruto Overview : Naruto (ナルト) is a Japanese manga series written and illustrated by Masashi Kishimoto. 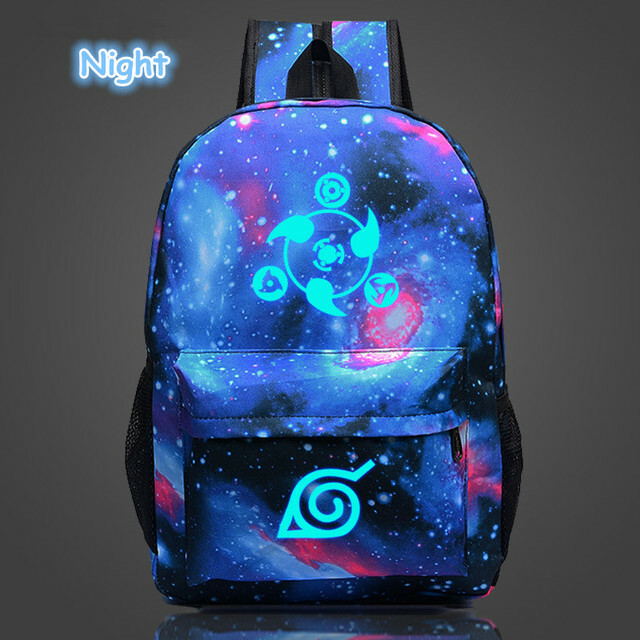 It tells the story of Naruto Uzumaki, an adolescent ninja who searches for recognition from his peers and the village and also dreams of becoming the Hokage, the leader of his village. Товар соответствует описанию. 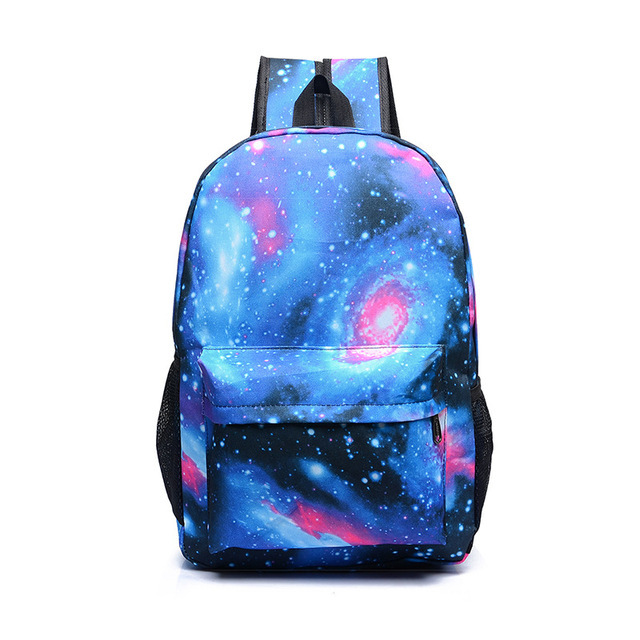 Качественный пошив. Эмблемы светятся в темноте. 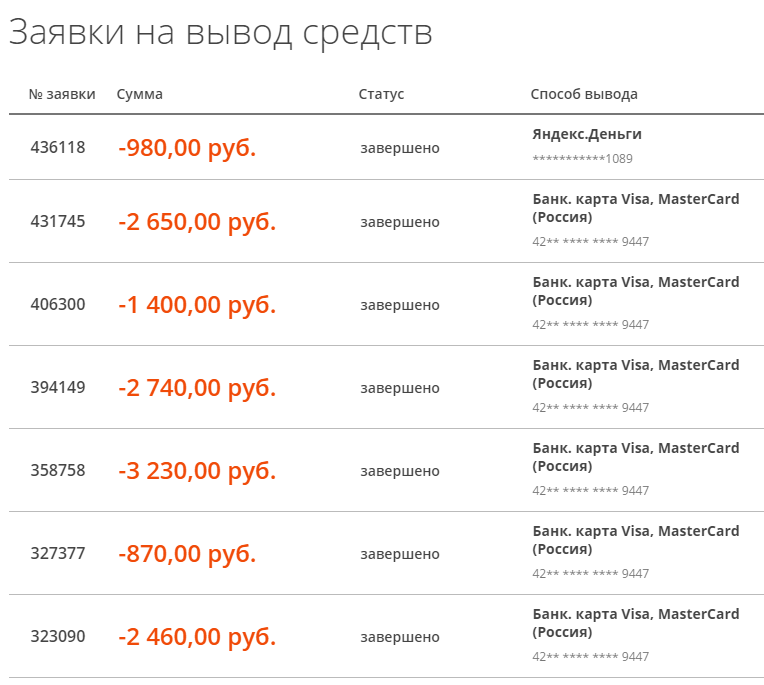 Продавца рекомендую. 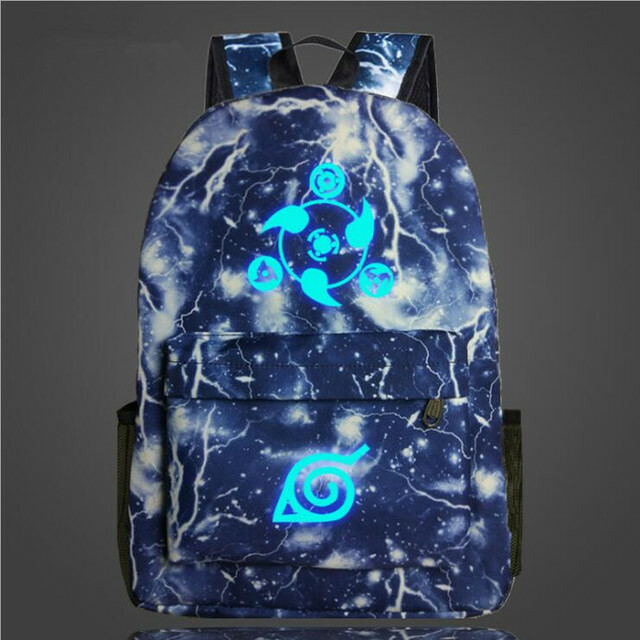 Отоисеый ryukzak. 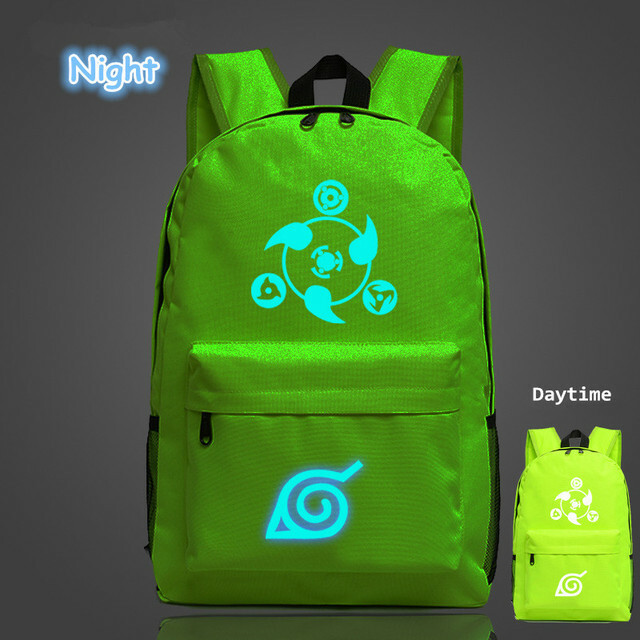 glows in the dark. as in the photo retailer. 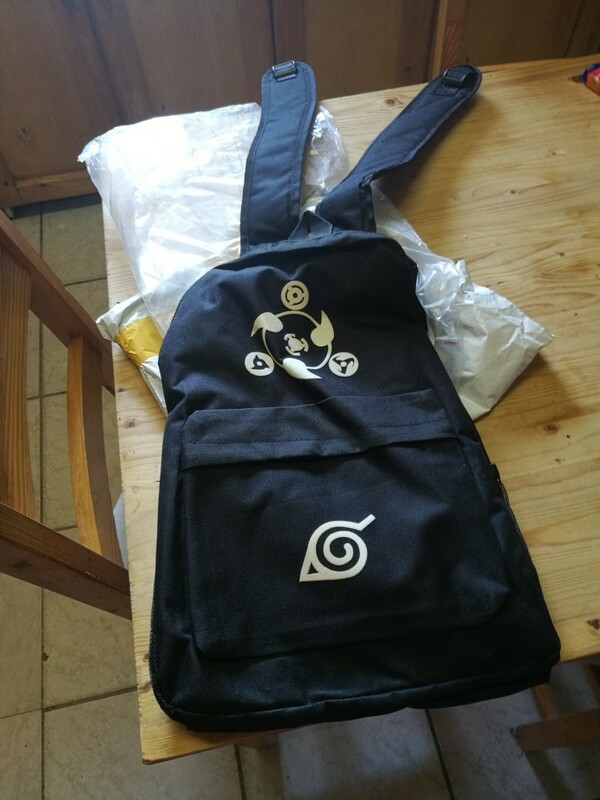 Backpack came pretty quickly. happy with everything-no protruding threads, all neatly. 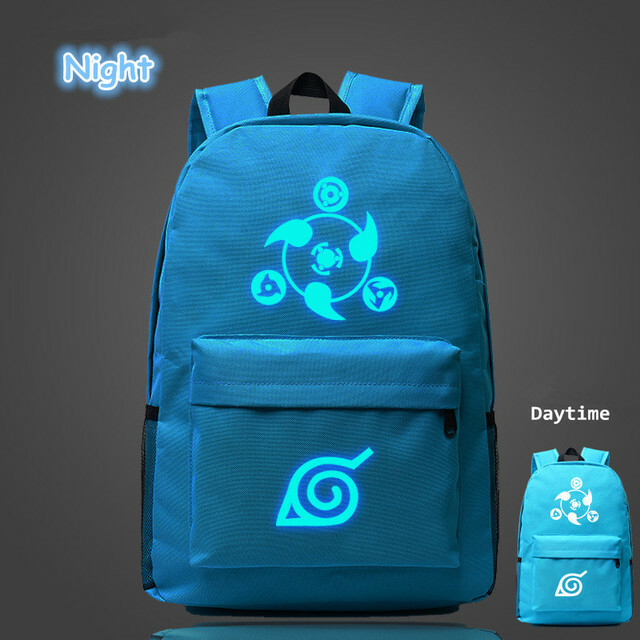 thank the store for such a wonderful backpack. 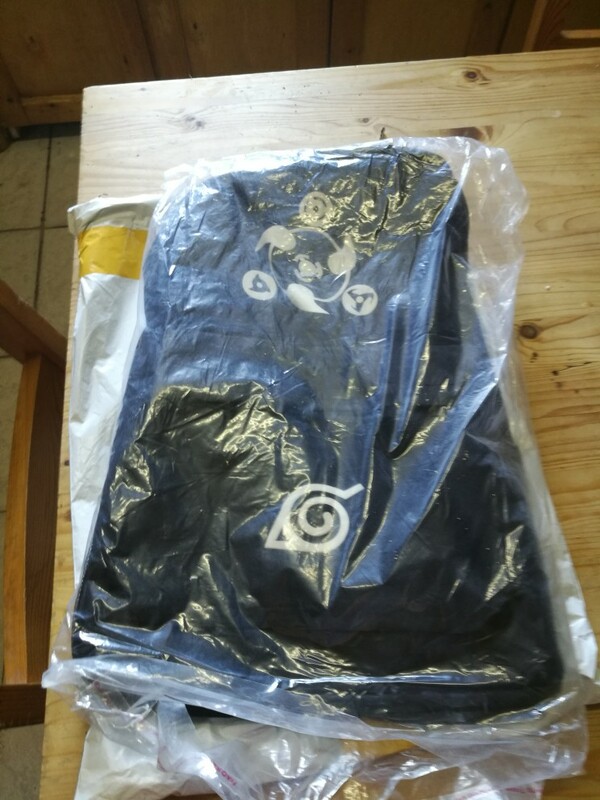 Came 24 days. 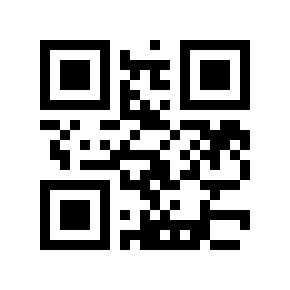 goods match the description. 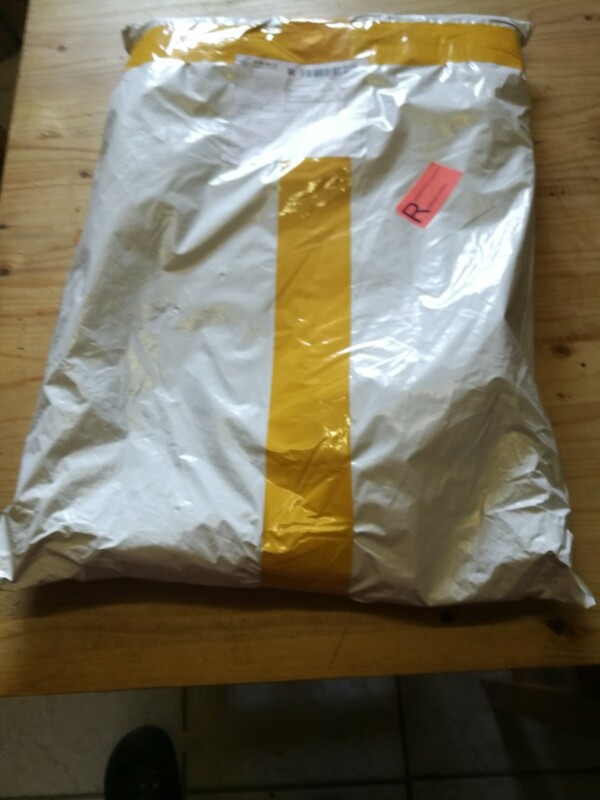 in the beginning there were delays in sending, the store reported an invalid track number, but in the end everything came within a specified time. High qualidade produto. chegou com 2 months no brasil. recommended. 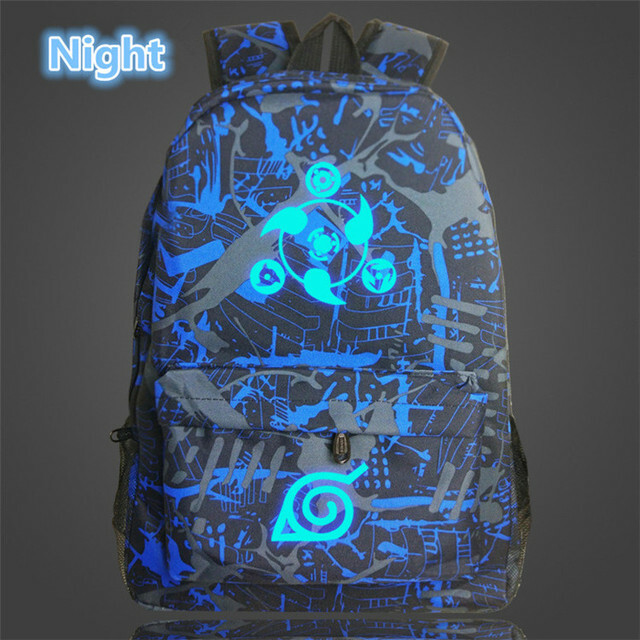 Good backpack, came quickly, but I ordered a blue pattern, and sent white. very sorry. 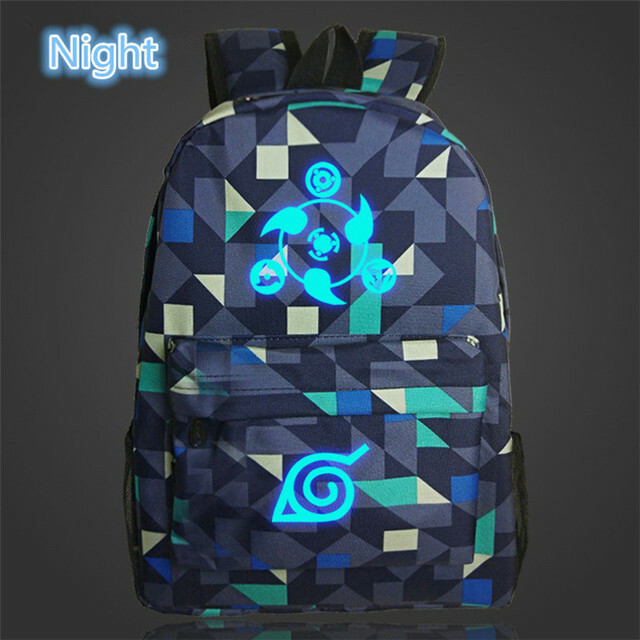 Backpack is very good, true figure is white but it did not spoil. when sending the address did not specify the number of houses, well that the track is monitored.